Amore Puro gift set with body & facial scrub and beauty oil based on extra virgin olive oil. Give the gift of beautiful glowing skin that radiates inner wellness with this Amore Puro skincare gift set. Created with the finest Extra Virgin Olive Oil, it's like taking a trip to Tuscany. 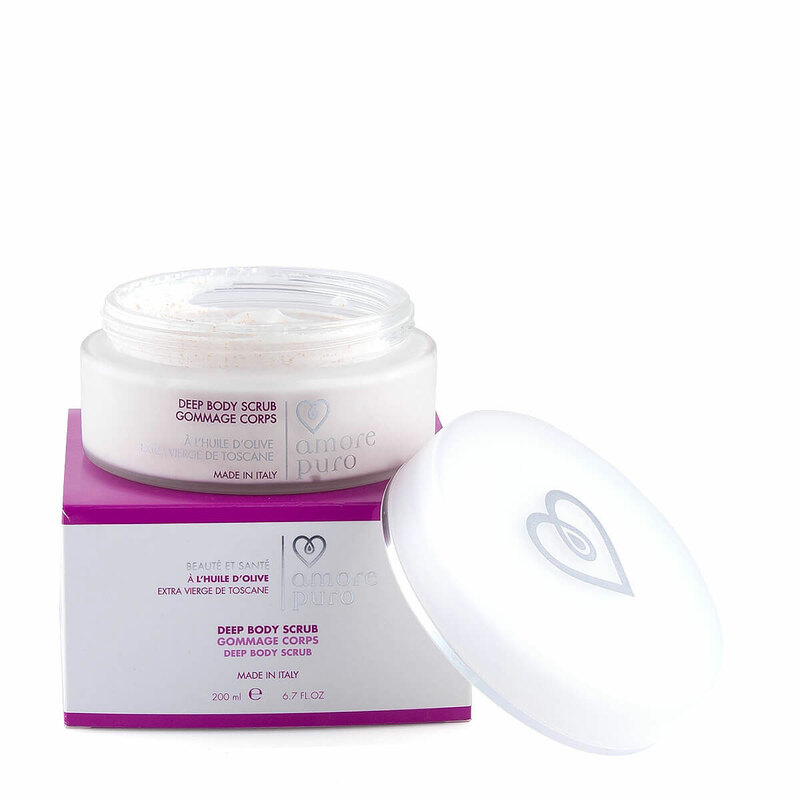 The body scrub and face scrub uncover soft, glowing skin from head to toe. Created from crushed olive pits to naturally exfoliate and refresh. Amore Puro's Beauty Oil is a luxurious elixir created from the exceptional "green gold" (olive oil) of the Mediterranean. The light fragrance and sheen create a magnificent glow on the face, body, or hair. This special gift will help bring some much-needed balance and make it easier for your loved ones to put themselves (and their well-being) first.